All Satellite Beach homes currently listed for sale in Satellite Beach as of 04/21/2019 are shown below. You can change the search criteria at any time by pressing the 'Change Search' button below. If you have any questions or you would like more information about any Satellite Beach homes for sale or other Satellite Beach real estate, please contact us and one of our knowledgeable Satellite Beach REALTORS® would be pleased to assist you. "Beautiful canal front pool home in an incredible beach side community. This 4 bedroom 4 bath includes a master suite that has two separate bathrooms! In addition there are two guest rooms which share a Jack & Jill bathroom. 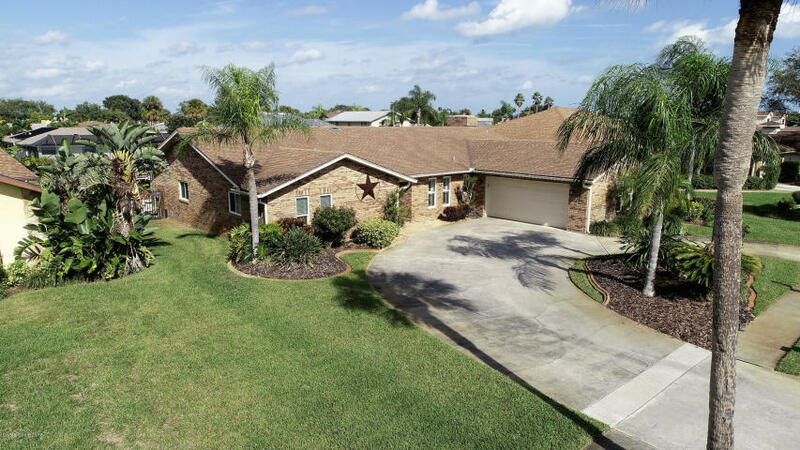 This spacious home has a fully remodeled chef's kitchen, new A/C, tile floors, in-ceiling speakers, perfect for entertaining or family living. Outside there is a beautiful pool front and water front lanai to enjoy our gorgeous sunsets. Boaters, there are two NEW lifts, one covered @ 8000# and the 2nd is a new Davit, perfect for a little runabout or jet ski. Walk to the beach, A+ schools and close to shopping. Must see today!"